Red Pepper Quilts: Sunday Stash #405 A Little Sweetness and More! Sunday Stash #405 A Little Sweetness and More! For this week's Sunday Stash I have again chosen several fabrics that have recently been added to stash. I have I lot of fabric and I like to think that I can choose wisely and sensibly; that I know "my style", and purchase fabrics that I will actually use ... and I usually get it right. Well, most of the time anyway, but it is hard not to wish for all the fabrics! 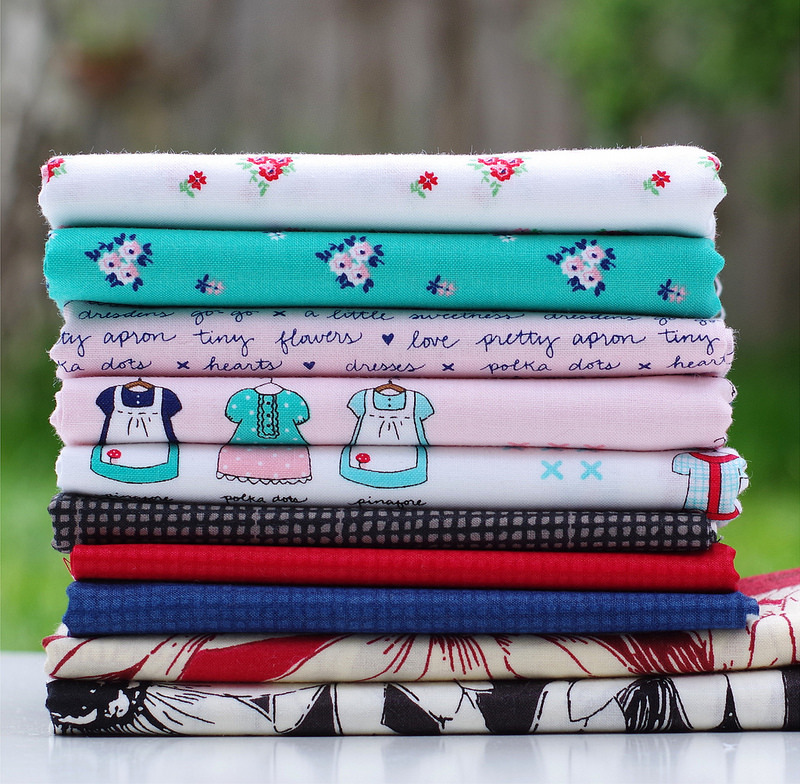 The first five prints are all from Tasha Noel's most recent collection A Little Sweetness for Riley Blake Fabrics. These are sweet!! And it was hard not to purchase the whole collection, but I know I will actually use these prints. 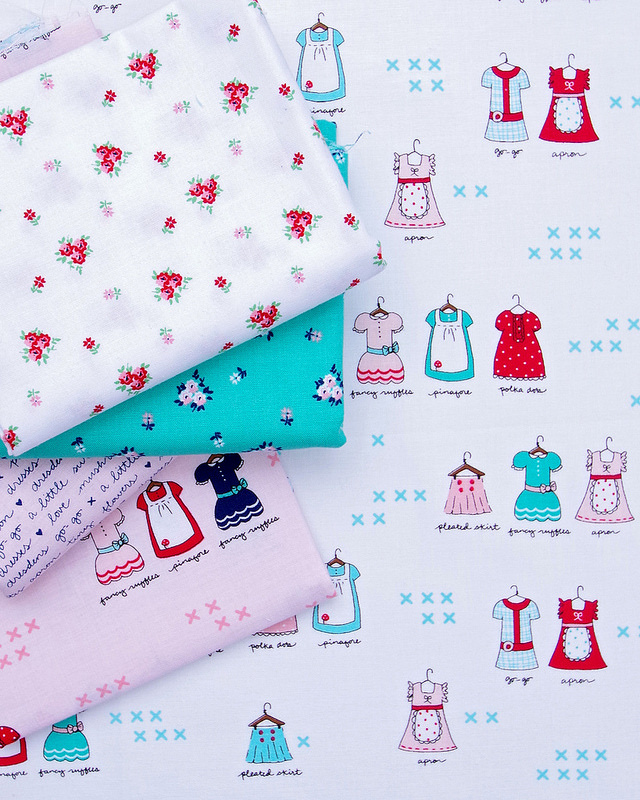 Needless to say the hand drawn dress fabrics are particularly adorable (perfect for fussy cutting!) but I think the small scale floral designs are excellent background/sashing fabrics. 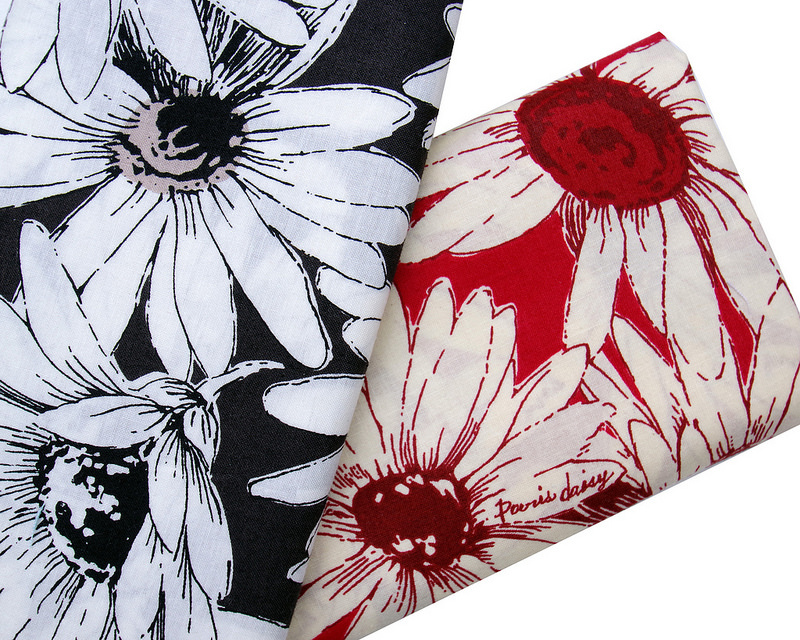 As always I love that Tasha's designs are printed on a clear/clean white background fabric. 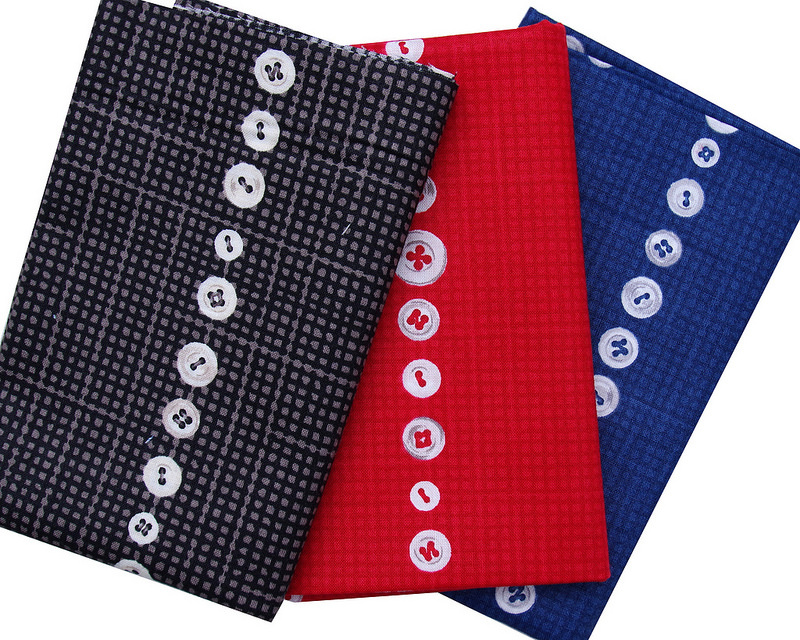 Also added to stash are these beautiful Yuwa fabrics by Japanese textile designer Suzuko Koseki. I am a huge fan of Suzuko Koseki designs and could not resist large scale floral designs with a snippet of text fabric, as well as the button stripe prints. 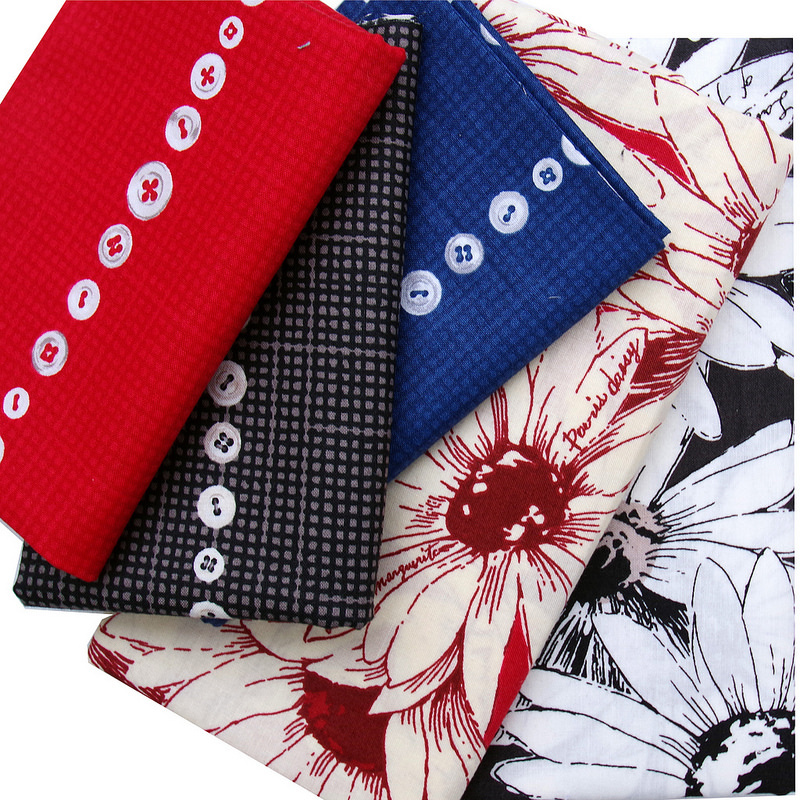 The Fat Quarter Shop 20% off Basic of the Month: Grunge by Moda Fabrics, 20% off Book of the Month: The Jolly Bar Book by It's Sew Emma, 20% off Notion of the Month: Bosal Stabilizer, Foam and Interfacing. Prices are as marked. Ends on 31 October 2017. 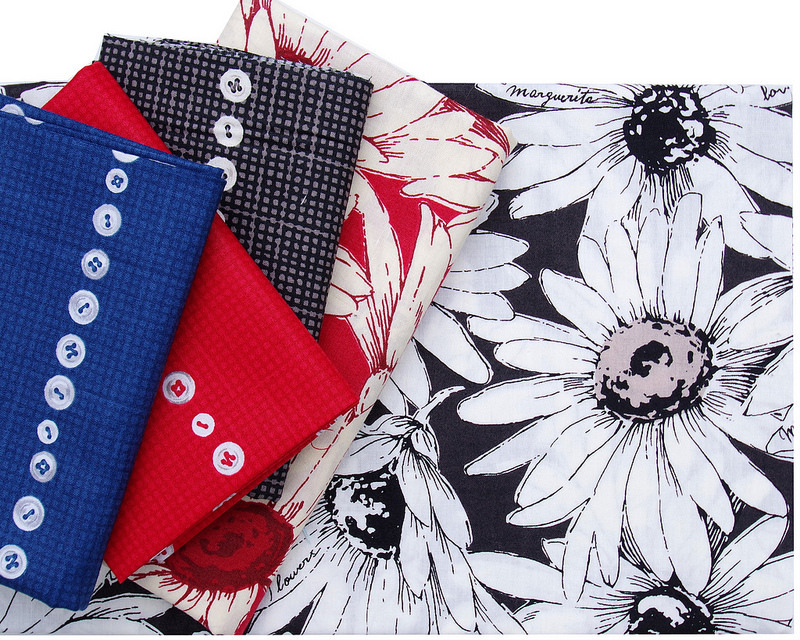 Alice Caroline Liberty Fabric Remnant Sale! Up to 50% off a huge variety of Liberty loveliness in the Liberty remnant sale. Prices are as marked. 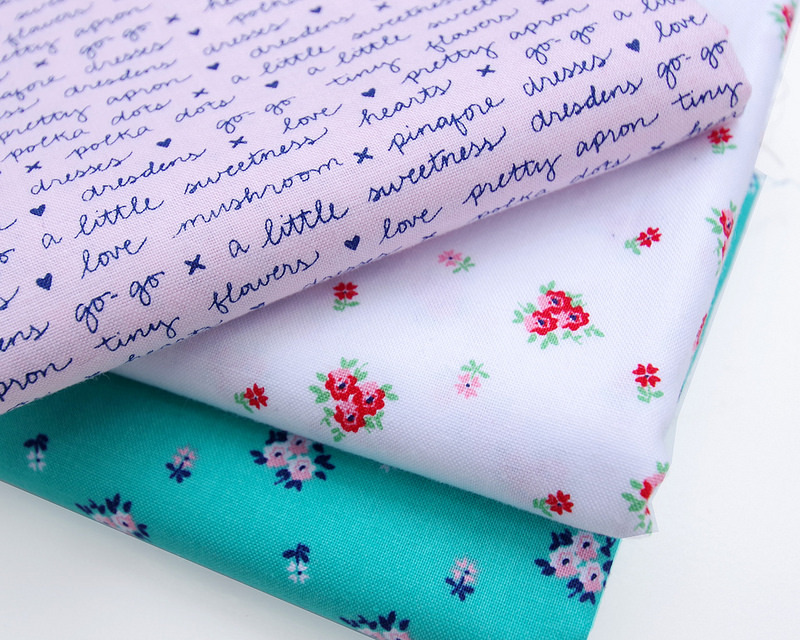 I Love Fabric New Arrivals: Island Life by Dear Stella and Daisy Chain by Annabel Wrigley. I like the dresses on hangers. I like them all.